Android program for USB Theta-Meter. You can now use our USB Theta-Meter on your Android device. Let me introduce new program for Theta-Meter e-meter - Theta-Meter Transformer. I wish to announce the new generation of USB Theta-Meter E-Meters - third generation. Skype (internet) auditing and remote session control. Introducing our new service to deliver online auditing via Skype. This service allows supervisors and C/Ses the ability to check how their students and auditors are performing while auditing, how standard they are working, and, if necessary, the option to record part (or all) of a session in order to write a pink sheet. It works with all Theta-Meter e-meters. This is the 2nd version of our service. It was created over the course of 2 years of testing. The result is a newer version that is much more stable, with less latency and can work with multiple auditors simultaneously. This version is also scalable and can work with web servers around the world. We offer a web service which now can be used to make a better world. 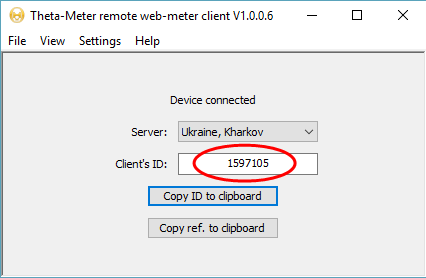 You can find this web-service at http://web-meter.ru/go-to-session/. It is absolutely free for auditors, supervisors, C/Ses and for their clients. 1. Connect your Theta-Meter e-meter to computer. 3. Copy his Client's ID to clipboard (marked in red) with button "Copy ID to Clipboard" and send it using Skype to your auditor. Let me introduce you wireless e-meter in solocan working with Bluetooth standard 4.0 BLE. 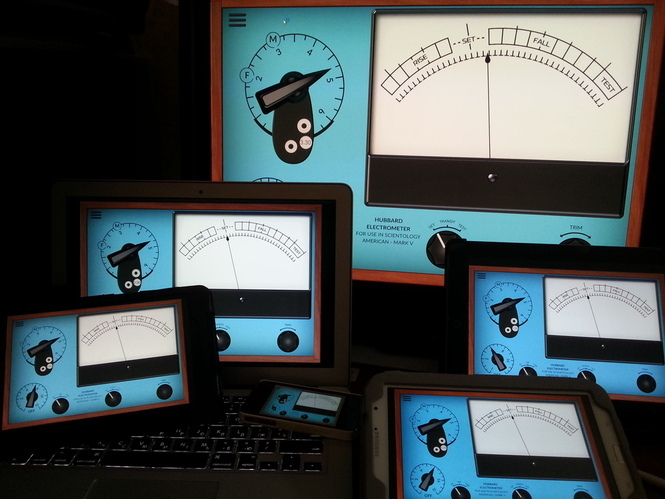 Multi-screen version of Theta-Meter e-meter. How to make three e-meters using only one Theta-Meter? 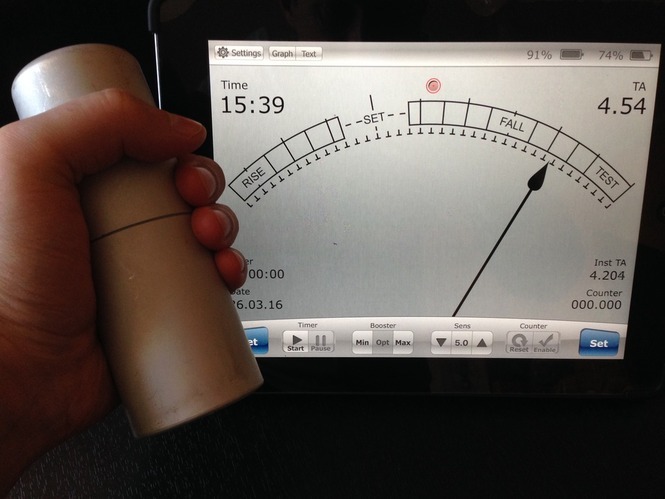 Today I want to tell you how to make 3 e-meters using only one Theta-Meter. Of course, we will not use any magic, our purpose is to use Wi-Fi access point plus Theta-Meter e-meter to offer to student, twin and supervisor at the same time possibility to see e-meter interface at their's own computer devices. This is very comfortable when two students doing e-meter drills can see their own e-meter at their's computer, tablet or phone, and supervisor can see what this two twins are doing at his device. 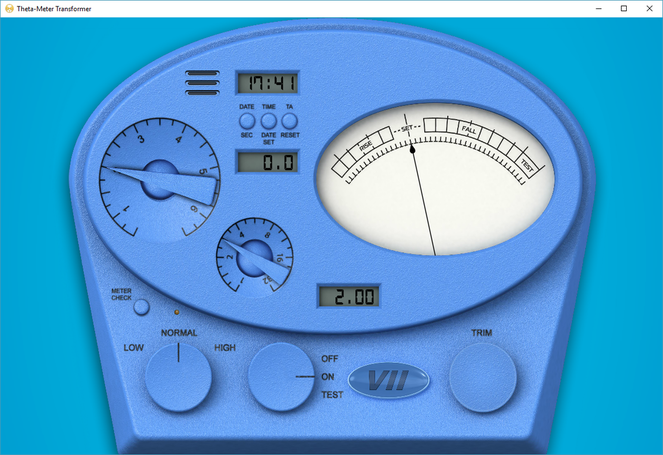 Theta-Meter e-meter program in a web browser. 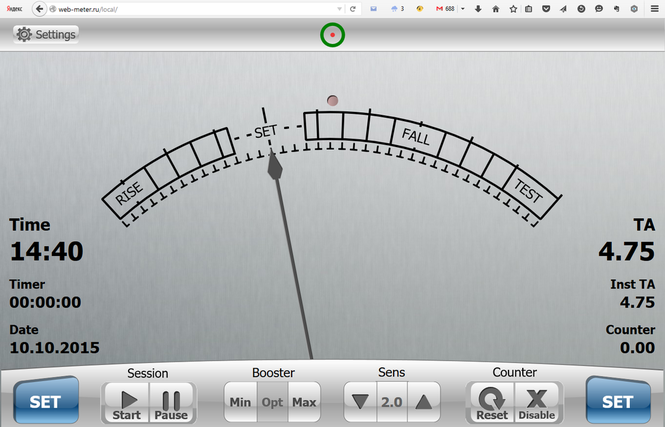 Today I want to show you Theta-Meter e-meter porgram in a web browser. First of all I want to answer to the main question - why we make this program? There are no any mystery. The main stream of software development now moves into the network, and we also follow this trend. 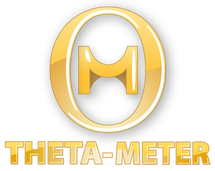 We present a Theta-Meter e-meter program, which is written to show you modern standards for web programming. This is a real web-meter for the popular browsers - Chrome , Firefox, Opera and Microsoft Edge.